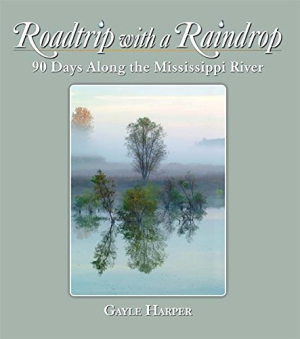 A raindrop falling into the headwaters of the Mississippi River will travel for 90 days to reach the Gulf of Mexico. When travel photographer and writer Gayle Harper learned that, she knew she would make a 90-day road trip, keeping pace with an imaginary raindrop called “Serendipity.” With no plan other than where she would spend the night, she wandered back roads, meeting people everywhere who invited her into their lives. Discover the beauty of America’s greatest river and her people.